Home » Design Articles and Advice » Do you know where you rank on Google? Do you know where you rank on Google? Like…exactly where? It may be lower than you think! Where you appear in search rankings has a huge effect on the click-throughs and traffic you get. #1 gets a ton of traffic, with the number of clicks rapidly dropping off by the time you get to #5. How is your website ranking? Go to Google search right now. Think of a term a potential customer would use to find you. Not your business name, but a generic industry term they might search for. Did you show up in the first-page search listings? Next, try a variation of that same keyword. Not the same listings are they? Maybe try a slightly different variation of the same term. Perhaps you don’t show up at all? You could spend the whole afternoon Googling yourself (insert your favourite joke about that here), seeing how your business is coming up. Maybe you’re #3 or maybe you’re #47. What if you had a way to see how your website is ranked on Google all in one dashboard? And see if you’re going up or down over time? And… what if you could tell which keywords people used were the most popular for finding businesses like yours? There’s not much point in being #1 in the search listings if no one ever uses that term. That would be some very useful marketing information. 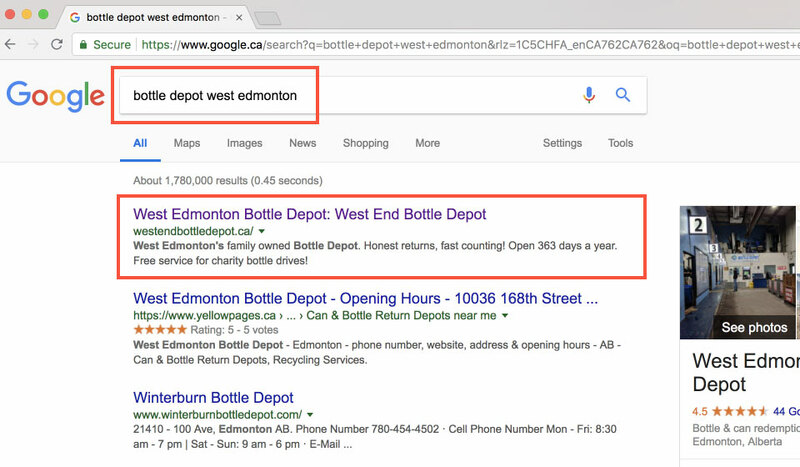 With our new tools at Kyle Loranger Design Edmonton, we can show you what terms your site is ranking well for, and what terms you aren’t being seen for at all. With that info in hand, you can make decisions on where to beef up your site, and then track the results. What do better rankings for your site look like? Below is a great example of how we recently helped one of our clients improve their Google ranking! We made tweaks to their site and got their ranking boosted from a low number 26 rank in early June, to a number 1 ranking in early July. Now THAT is making your website work for you! So, is it time to get more value from your website? As a start, doing some keyword and ranking research is a great (and inexpensive) way to get a picture of where you stand. If you haven’t done so already, Google has some great tools that should be added to your website that can help analyze how you are ranking. Google Analytics and Google Search Console are super powerful and give great insight into how your site is performing. Sound like something you want to look at for your business? Lets chat!